Home > Dining and Gourmet > Bakery > [Cedele] What’s a meal without dessert? [Cedele] What’s a meal without dessert? What's a meal without dessert? 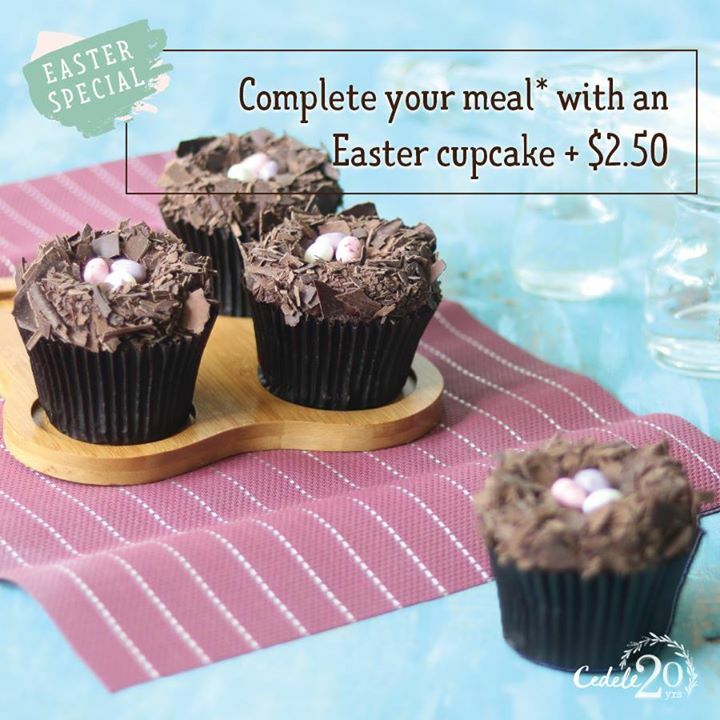 Complete your meal with a Chocolate Nest or Peanut Butter Banana cupcake for only $2.50! Next: [Lazada Singapore] Enjoy up to 10% off PediaSure products during the Online Baby Bazaar from 6 to 9 April!